In the Late Palaeolithic and Mesolithic core processing in Poland was dominated by flint raw materials. The present paper considers the occurrence of non-flint assemblages at the sites Lubrza and Ludowice (Polish Lowland). The focus is on recognition of petrographic studies, technology, typology and use-wear of inventories from both sites. The collections contain debitage, cores and different kinds of tools. As a result the identification of granite, sandstone, quartzite, gneisses, mudstones, slates and single minerals of quartzes and feldspars was established. The use-wear analysis brought good results only in case in porphyry artefacts. The described analyses are accompanied by a review of European non-flint assemblages from Late Palaeolithic and Mesolithic sites and discussion of the role of this type of raw material in core processing. Driscoll, K. &Warren, G.M. 2007, Dealing with the ‘quartz problem’ in Irish lithic, Lithics: The Journal of the Lithic Studies Society, 28: 4-14. Hertell, E. & Tallavaara, M. 2011, High Mobility or Gift Exchange – Early Mesolithic Exotic Chipped Lithics in Southern Finland, In. 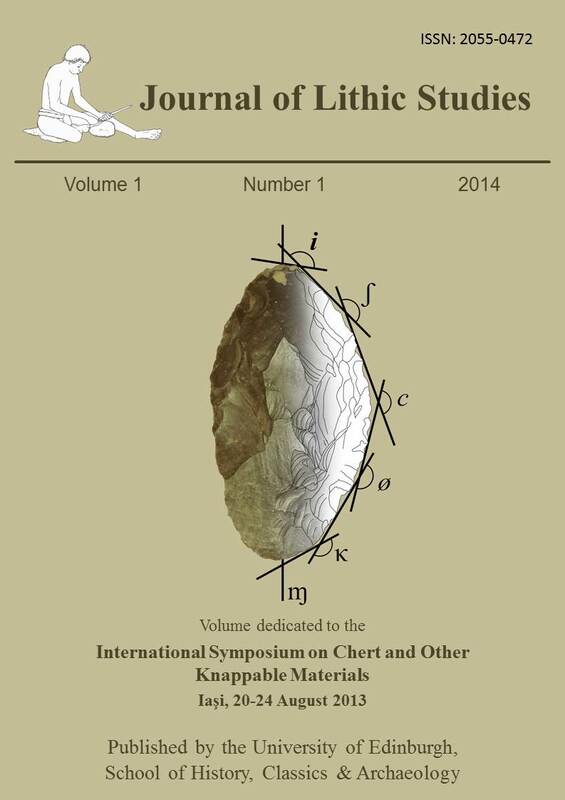 Mesolithic Interfaces, Variability in Lithic Technologies in Eastern Fennoscandia, (Rankama, T., Ed. ), The Archaeological Society of Finland, Saarijärvi: p. 11-41. Kankaanpää, J. & Rankama, T. 2011, Spatial Patterns of the Early Mesolithic Sujala Site, Utsjoki, Finnish Lapland, In. Mesolithic Interfaces, Variability in Lithic Technologies in Eastern Fennoscandia, (Rankama, T., Ed. ), The Archaeological Society of Finland, Saarijärvi: p. 43-63. Kriiska, A. & Lõugas, L. 1999, Late Mesolithic and Early Neolithic seasonal settlement AT Köpu, Hiiuma Island, Estonia, In: Environmental and Cultural History of the Eastern Baltic region, (Miller, U., Ed. ), PACT Vol. 57, Rixensart, Strasbourg: p. 157-172. Manninen, M. A. & Knutsson, K. 2011, Northern Inland Oblique Point Sites – a New Look into the Late Mesolithic Oblique Point Traditionin Eastern Fennoscandia, In: Mesolithic Interfaces, Variability in Lithic Technologies in Eastern Fennoscandia, (Rankama, T. Ed. ), The Archaeological Society of Finland, Saarijärvi: p. 143-175. Manninen, M. A. & Tallavaara, M. 2011, Descent History of Mesolithic Oblique Points in Eastern Fennoscandia – a Technological Comparison Between Two Artefact Populations, In: Mesolithic Interfaces, Variability in Lithic Technologies in Eastern Fennoscandia, (Rankama, T. Ed. ), The Archaeological Society of Finland, Saarijärvi: p. 177-211. Okuniewska-Nowaczyk, I. & Sobkowiak-Tabaka, I. (in press), Palynological and archaeological studies of the Late Vistulian and Early Holocene at the Lubuskie Lake District (Western Poland), Studia Quaternaria, (in press - 2014). Olofsson, A. 2003, Pioneer settlement In the Mesolithic of Northern Sweden. Doctor of Philosophy thesis at the Department of Archaeology and Sami Studies, Umeå University, Umeå: 159 p.
Pallarés, M. & Mora, R. 1995, Organization strategies of hunter-gatherer communities in the 9th millenium BP along the eastern Pyrenees, In: L'Europe des derniers chasseurs: Épipaléolithique et Mésolithique, 5e Collogue international UISPP, Grenoble, 18-23 septembre 1995, (Thévenin, A., Bintz, P., Ed. ), Comité des travaux historiques et scientifiques - CTHS, Paris: p. 66-71. Svoboda, J. 2008, The Mesolithic of the Middle Danube and Upper Elbe rivers, In. Mesolithic Europe, (Bailey, G. & Spikins, P., Eds. ), Cambridge University Press, Cambridge: p. 221-237.